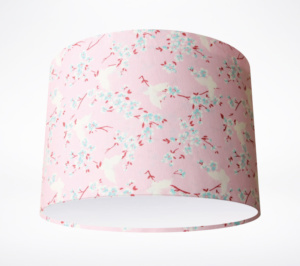 This winning combination of pastel tones tells a winning story of butterflies in flight and blossom in bloom. 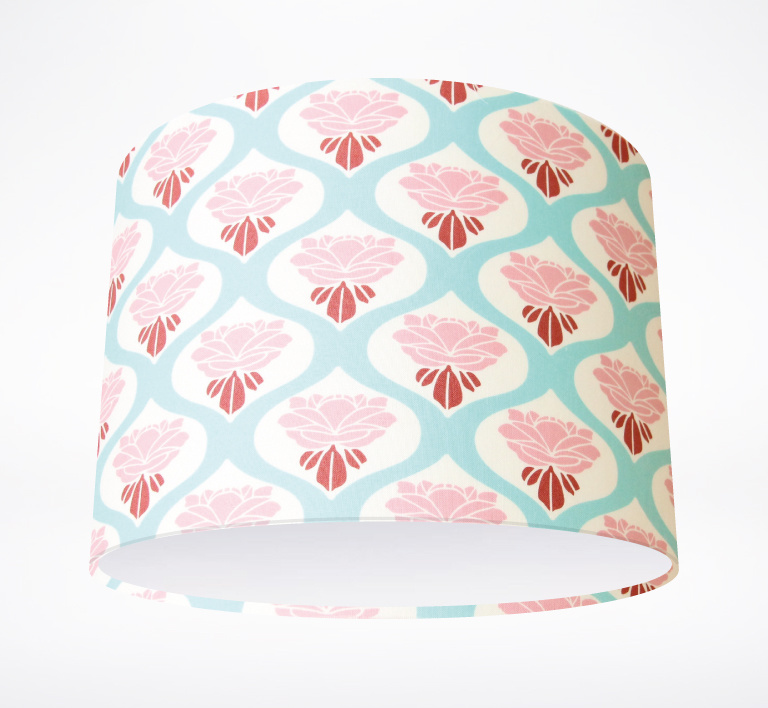 We love the patterns created by all the movement here which work fantastically on any size lampshade. 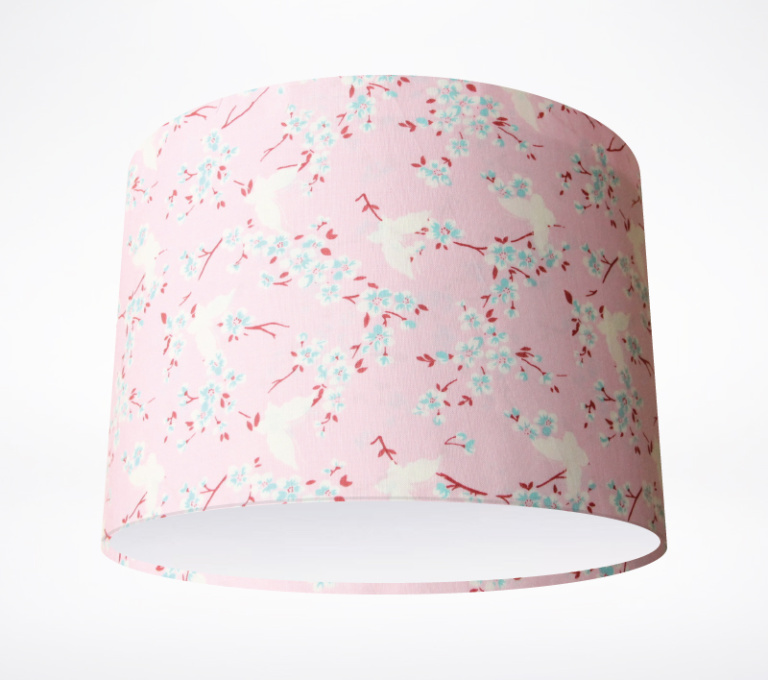 This quality drum lampshade is handmade to order in our Buckinghamshire workshop, using traditional methods for a high quality professional finish. 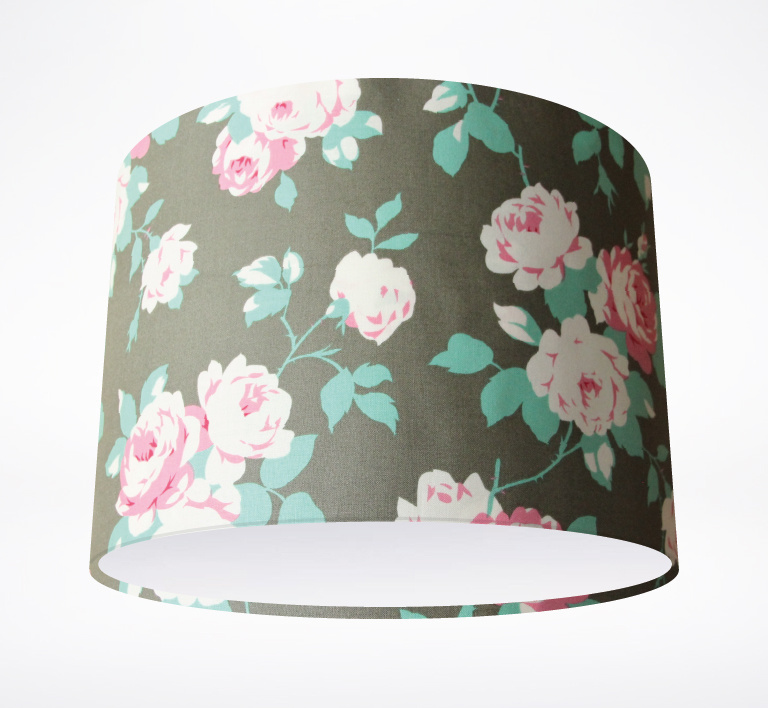 As each lampshade is handmade to order, please allow up to 2 weeks for delivery. 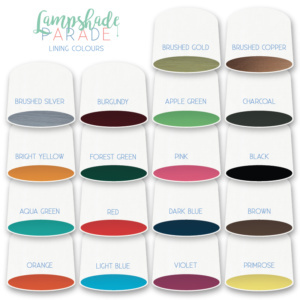 Pattern placement may vary from the image shown, however great care is taken to ensure an attractive overall appearance and beautiful finish for your lampshade. 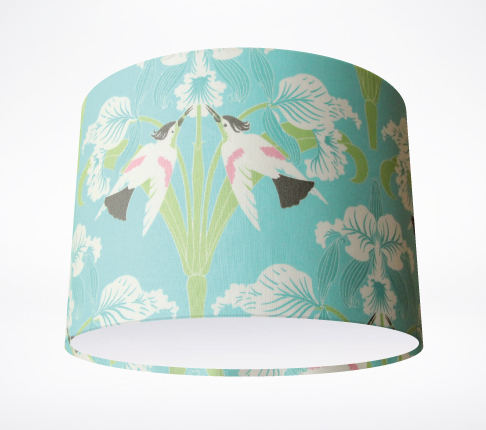 We believe lampshades can make a wonderful statement in your home, so we've created an irresistible collection of unusual & fabulously gorgeous lampshades just for you! 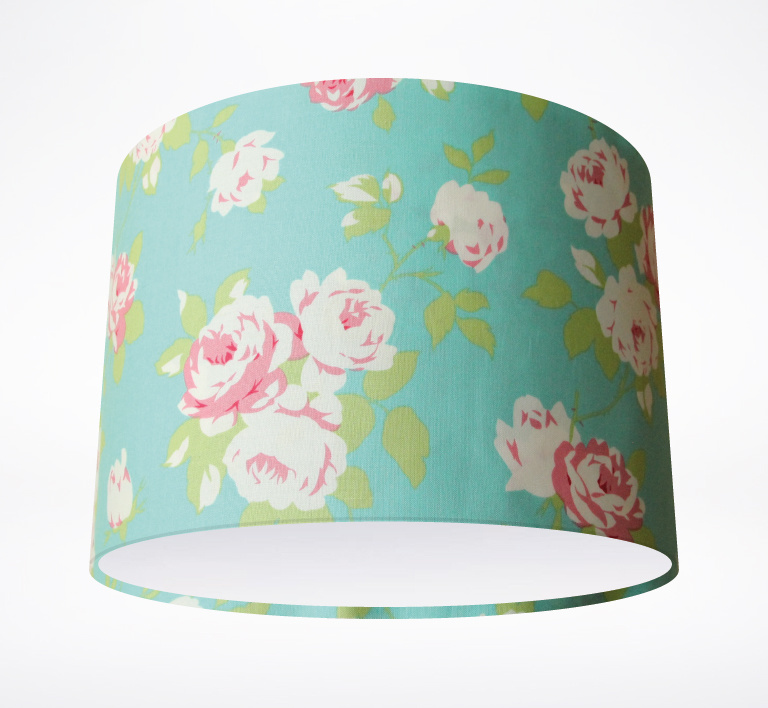 All of our lampshades are handmade to order here in the UK.